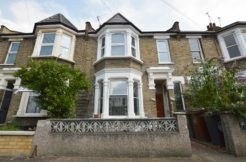 We specialise in helping professionals like you find great rental homes in London and Essex. Searching for a home can be difficult and time-consuming, so we really listen to your needs and only contact you if a property could genuinely be suitable. We promise not to waste your time! Once you’ve registered with Abidins, you’ll get emails and texts whenever any new rental property becomes available that could suit your specifications. You will have a dedicated agent assigned to you who you can keep in contact with directly. Our experienced team will make sure you feel in safe hands. We will accompany you on viewings, and if you like we can pick you up from an agreed local landmark and drive you around the area to give you a better understanding of it. Our staff all have excellent local knowledge of London and Essex, and will share their insights about local schools, transport links, the best areas to rent and what to avoid. Your in safe hands! We are an award winning agency based on our customer reviews! Click on widget below to see our verified client testimonials. Once you’ve viewed a property and want to proceed, we’ll negotiate on your behalf, agree a tenancy all parties are happy with and move on to the referencing procedure. We use Rentshield Direct & Creditsafe to conduct credit checks and obtain relevant references to verify you as a tenant. You will need to be earning at least 30 times the monthly rental amount per annum as a household to be accepted as a tenant. So, if the rent is £1,000 per calendar month then then you will need to be earning £30,000 between you if it’s a joint tenancy, and the whole amount if you are renting alone. Once your references are accepted, we will ensure all safety certificates for the property are produced, and arrange any other relevant documentation before you move in. We will guide you through this process and we’ll always be available to help if you have any queries at any point throughout your tenancy. Before the tenancy can proceed you need to provide us with a photo ID in the form of a passport or EU driving license. A deposit equivalent to one calendar months’ rent must be paid in clear funds when you sign a tenancy agreement and this will then be registered with a deposit protection scheme via the Landlord or on the Landlord’s behalf by Abidins. Abidins exclude liability in relation to loss caused by the insolvency of a financial institution which holds deposits in its contracts with landlords and tenants. Please note that deposit amounts payable can vary. The first instalment of rent must be paid in clear funds when you sign the tenancy agreement. Thereafter, rent is payable by standing order (unless agreed otherwise) to arrive on the due date stated in the tenancy agreement. The full rent must be paid by a single standing order, we are unable to accept multiple standing orders. There is a one off admin fee of £200 + VAT (£240 Inc VAT) per tenant. This includes: Referencing & ID verification, admin, conducting viewings, negotiating the tenancy and check in. If a guarantor is required there is a further fee of £50.00 + VAT (£60 Inc VAT) per guarantor. There is a one off contract fee of £100 + VAT (£120 Inc VAT) applicable per tenancy, and not per individual. It is your obligation to obtain written consent from the landlord for any change in the identity of a tenant. 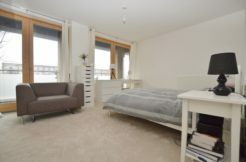 If consent is obtained from the landlord and a change of tenant is agreed there will be a contract / referencing fee of £300.00 (£360 Inc VAT) payable in order to reference the new tenant and prepare relevant paperwork including the contract which would need to be signed by the new tenant and existing tenant/s. We make regular checks to ensure all is well, so if you have any issues, we’re your point of contact and we’ll help nip any problems in the bud. If you rent a property in East London or Essex that is managed by Abidins, our management agents and contractors are on call 24 hours a day, 7 days a week. You can be sure that in an emergency, we’ll be available to help immediately. We are registered members of The Property Ombudsman, The Deposit Protection Service and The Chartered Trading Standards Institute ensuring the highest level of customer service. It is you responsibility to insure your own belongings throughout the tenancy. You will be responsible for the payment of gas, electricity, water, telephone accounts including council tax at the property during the tenancy. It is your responsibility to notify the relevant companies and local authority that you are moving into or out of the property. You must ensure that valid television licence remains in place for the duration of the tenancy. The tenants acknowledge that they are always the contracted tenants of Abidins. Abidins is subject to the Money Laundering Regulations 2017. We will need to obtain and hold evidence confirming your identity, proof of your address and source/destination of funds. We will be unable to proceed with any instruction until we are in receipt of this information and have completed a satisfactory AML check. Your identity may be subject to an electronic identity check, which may leave a soft footprint on your credit report. Where appropriate, proof of ownership of the property may also be requested. Abidins Ltd is committed to safeguarding the privacy of personal data and complying with the European General Data Protection and the Data Protection Bill 2018, and any future changes in data protection legislation with which Abidins Ltd will be required to comply. We are registered as a data controller with the UK Information Commissioners Office and our data protection number is ZA246171.